The most sought after and largest three bedroom line available in the building now ready for private showings. Shows beautifully and will impress all! 10 foot plus vaulted ceilings, oversized windows, gorgeous hardwood floors, tremendous light and an overall feeling of luxury. This masterfully designed home is a must see! This home features a Crestron System for A/V, HVAC and lighting, with top of the line 5 zone Bowers & Wilkens speakers, smart home system, additional lighting, extensive wiring for phone and data, and custom closets. Enjoy entertaining guests and family with the upgraded open chef's kitchen built with custom millwork, breakfast bar and equipped with top-of-the-line Wolf, Viking and Bosch appliances. The expansive master suite is complete with an en-suite limestone bath with an oversized spa shower with double vanity and a custom walk-in-closet. The second and third bedrooms both offer luxurious comforts and views into the buildings gardens. One of these bedrooms was converted into a library/media room and designed with a top-of-the-line sound system ideal for enjoying movies and music and is perfect place to unwind. 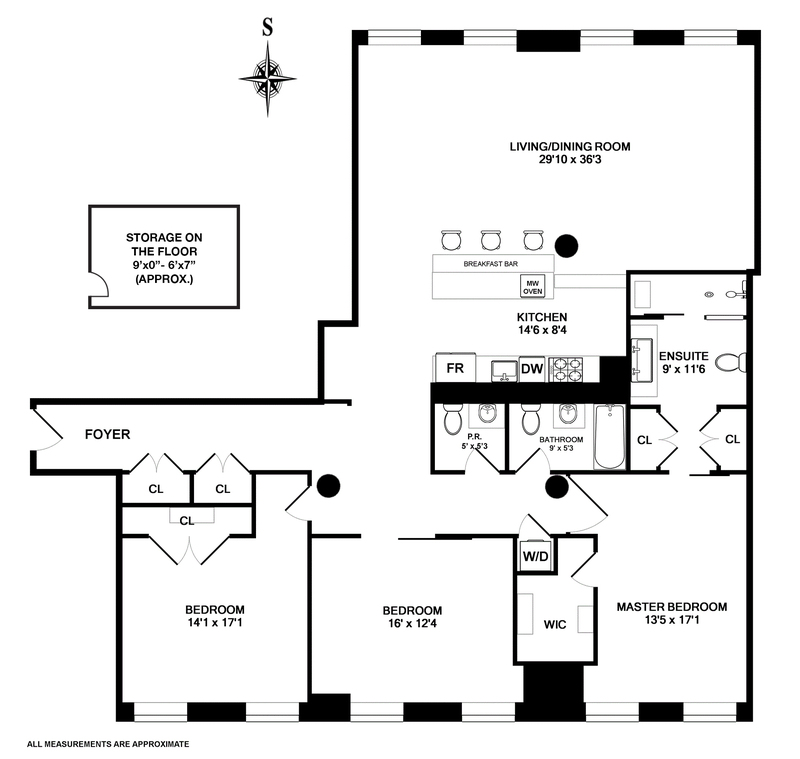 Residence 3L comes with a rare on-floor storage room measuring approximately 10x7. 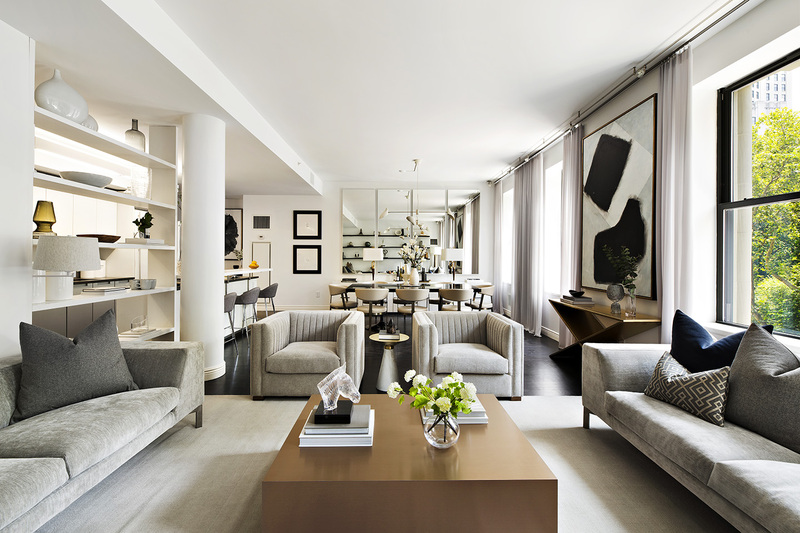 The Grand Madison is one of the New York's great Beaux-Arts residential enclaves on Fifth Avenue and is centrally located in the heart of Manhattan. Originally built in 1906 as the Brunswick Building, later known as the New York Gift Building, a showcase for glass, ceramic and silver giftware, then graciously reimagined as The Grand Madison Condominiums in 2005. Today, the full-service, pet-friendly building boasts a magnificent Murano chandelier lobby and a long list of white-glove amenities, including 24-hour doorman, concierge and valet services, dry cleaning, shoe shine, maid service, window cleaning, tailoring, a private fitness center, and full time superintendent. This sought-after Manhattan destination delights with many fine dining opportunities including Eleven Madison Park, Gramercy Tavern, The Nomad, ABC Kitchen, as well Mario Batalis Eataly Food Emporium, The Clocktower at Ian Schrager's Edition Hotel, April Blomfield's The Breslin Bar & Dining Room, The John Dory Oyster Bar, and Danny Meyers original Shake Shack in Madison Square Park all just outside your door. Nearby N/R/W, 6, and F/M trains provide easy transportation to all of the city.